As far from glam as this may sound, I spend most of my time in PJ's. I currently work from home twice a week, so on those days I rarely even brush my hair let alone get dressed. I love lounging and chilling out in uber comfy clothing. I don't want anything fancy or too restricting, I just love to be free. 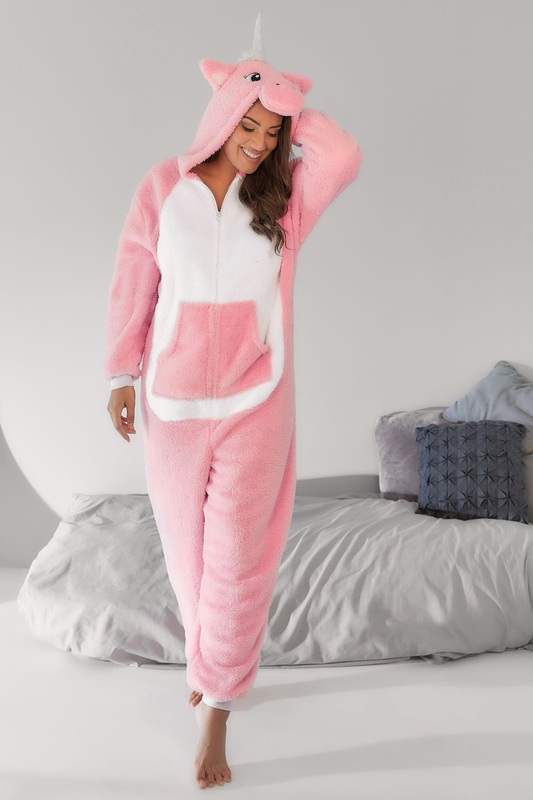 Now I am very late to the onesie party, I bought my first onesie last year and it has been my item of choice ever since, but then...I happened across this magical creation. 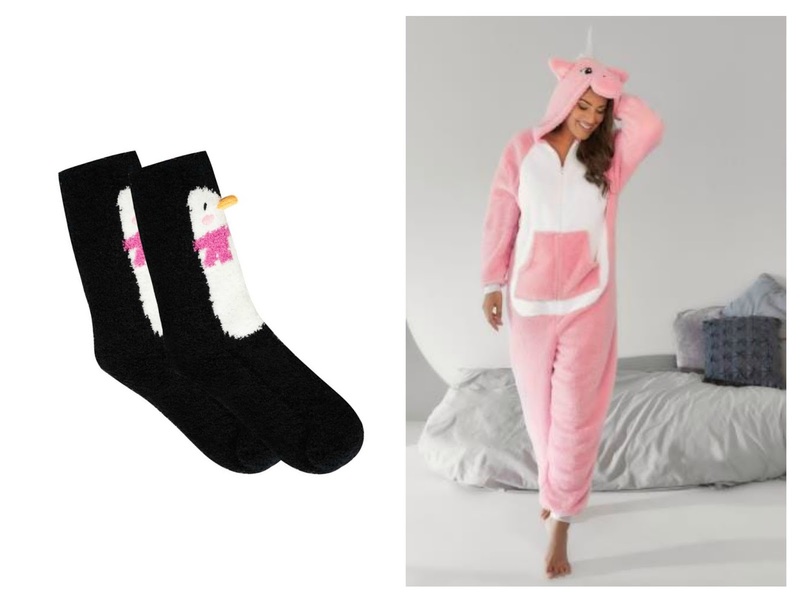 Yup that's right, a UNICORN ONESIE, be still my beating heart. Now don't get me wrong yes, I appreciate it's ridiculously childish and impractical but I couldn't care one bit. This bundle of warmth and loveliness is perfect for snuggling up on the sofa and binge watching a Netflix boxset or two. I love that it's a unicorn, I love that I feel like a 5yr old wearing it, it makes me feel young and carefree! 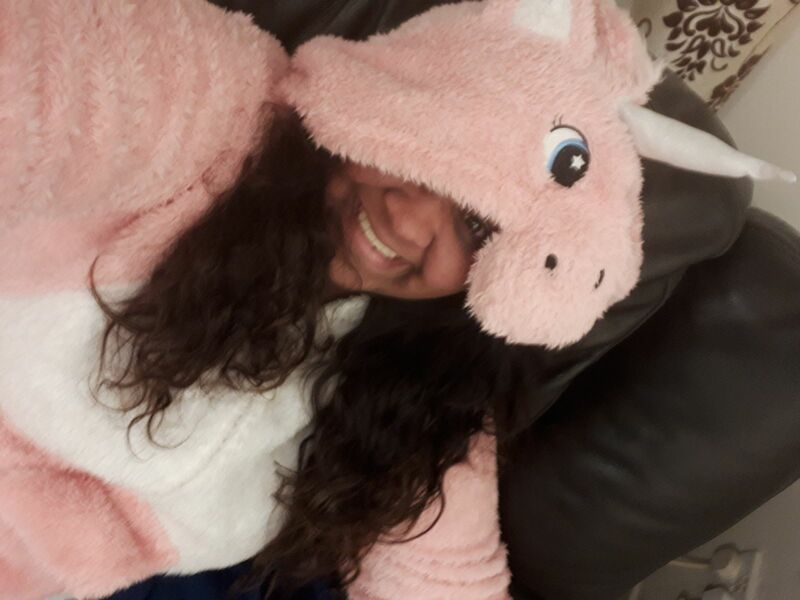 I actually bought this onesie to take part in a social media campaign to raise awareness for Type 1 Diabetes. 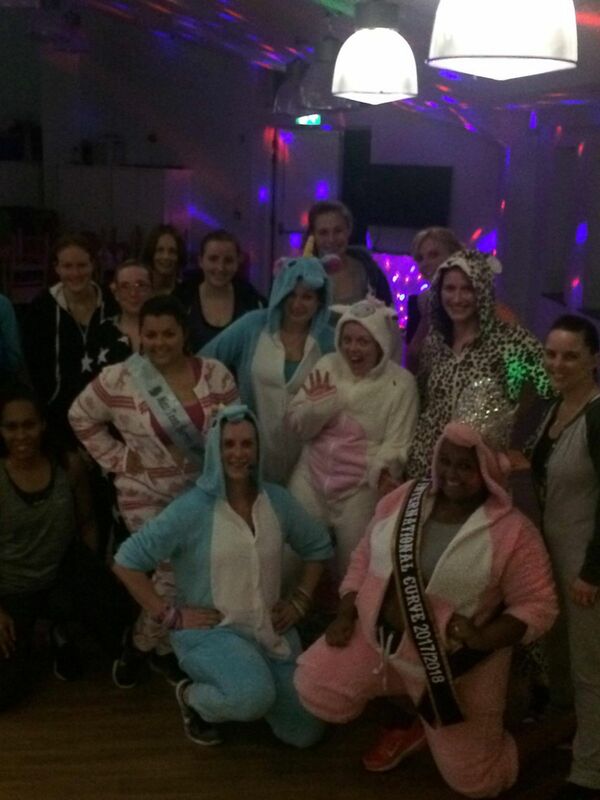 All of my fellow BOOSTFit instructors did a whole fitness class in our onesies. 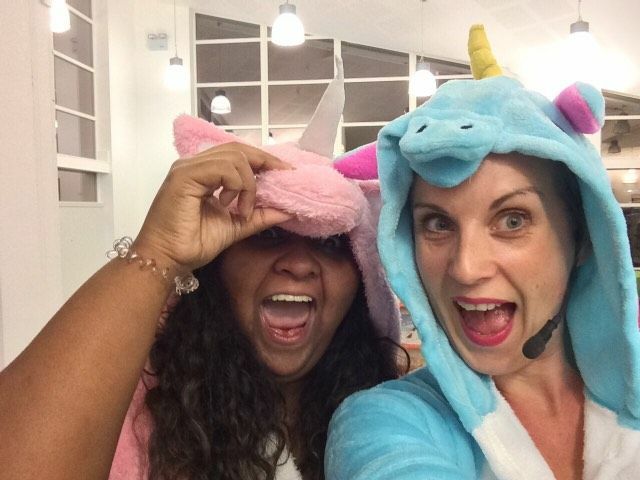 We sweated like pigs (well I didn't cos unicorns don't sweat they sparkle!) 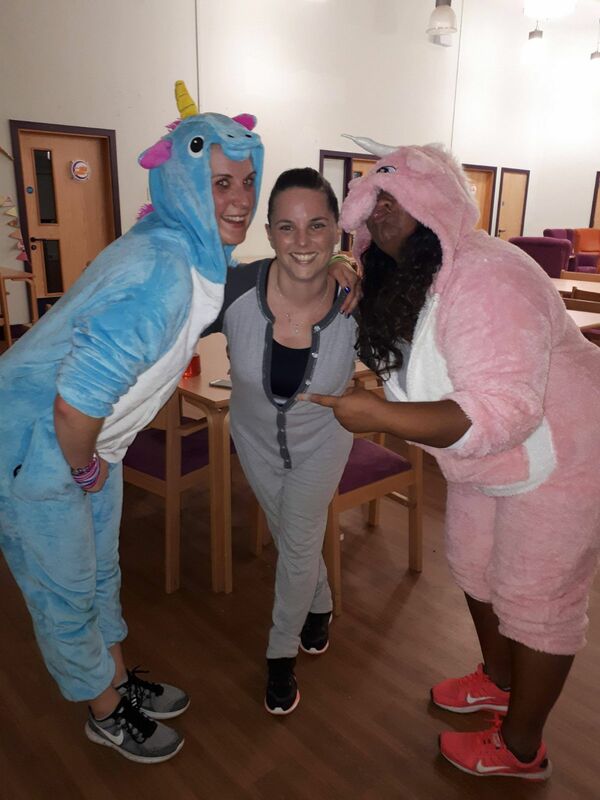 but we raised a load of money for Diabetes UK and JDRF and it was loads of fun to get to wear your PJ's to "work"
Another thing that I cannot live without is a pair of fluffy socks. I own far too many pairs to count and they are the first thing I put on whenever I get home from work. I hate having cold feet, cold feet are like the devil! 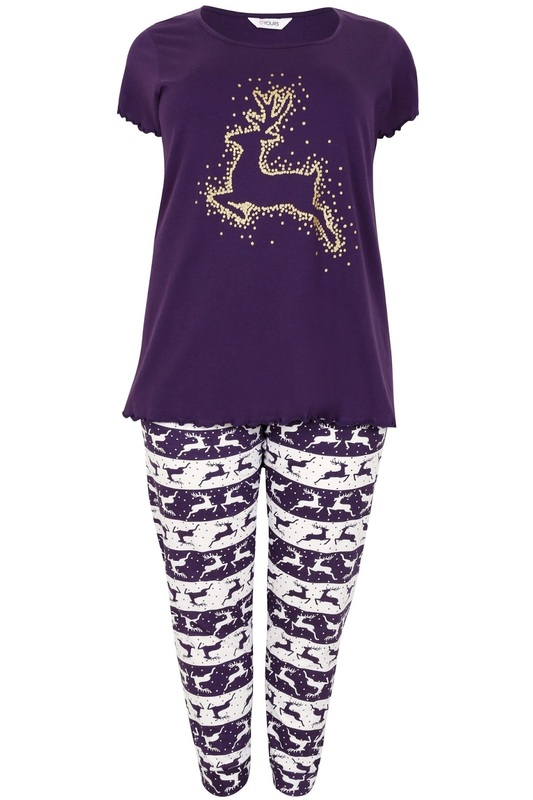 Yours Clothing have a tonne of comfy loungewear in at the moment some of the PJ sets are Christmas related too which I love cos it's tradition in my family to buy a new PJ set for Christmas Eve. 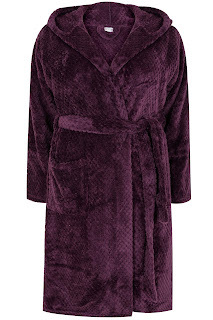 I'm also a sucker for a fluffy dressing gown and slippers. 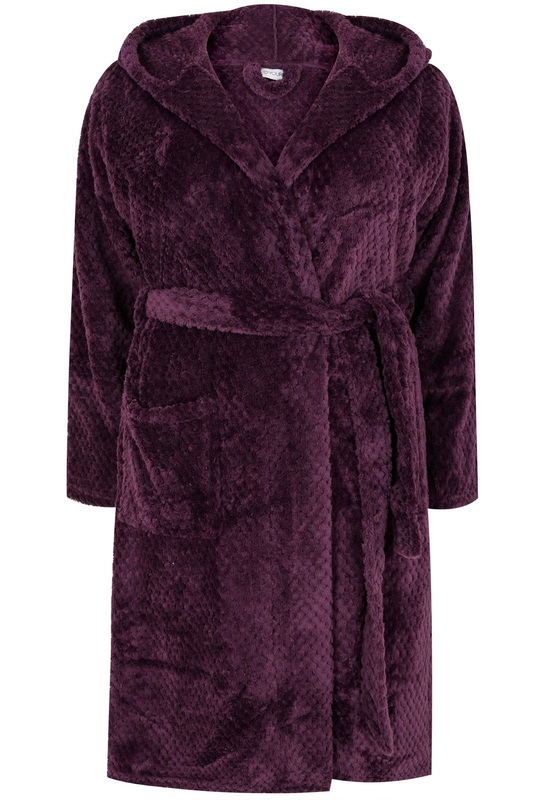 When we went to Yours Clothing HQ for our blogger shoot we all were lent these gorgeous fluffy purple robes to wear between changes. I didn't want to take it off, it was lovely, cosy and roomy for sizing. 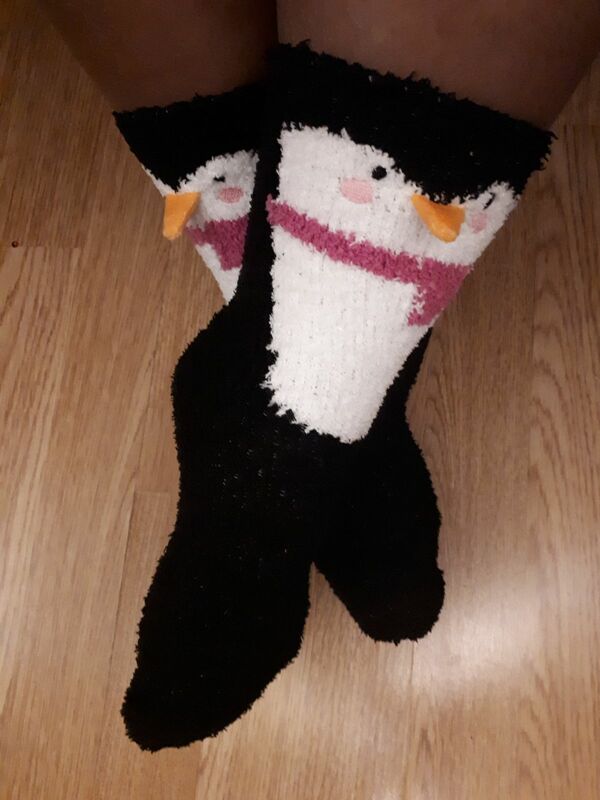 Although those Santa slippers were a total colour clash - I couldn't help strutting around in them, exactly what you need when you have sore feet from wearing heels all day! What do you lounge around in? ?